You have been thinking about buying a house and now you're wondering about the mortgage of your new home. Who should you use? How much house can you afford? How much will you be paying per month for your home? All of these are important questions for any buyer, no matter the price range of the home. First, I would highly recommend shopping for a mortgage with a local mortgage company. Internet lenders and "TV" lenders almost always cost the buyer in the form of higher rates, higher closing costs, and carry undisclosed or "hidden" fees. Second, you need to shop the product as well as the rate. A local lender can design a plan that will best work with your current and future needs. Short term "fixes" through "teaser" rates, adjustable rate loans, and balloon payments are not the way to remain in the house with a reasonable payment. Fixed rate, 30-year financing without "points" can be available in the 4.85-5.25% range, depending on your credit score and the type of product you will be using. Third, your credit score (a range between 450-800) will determine your access to the best products. The higher the score, the better the rate and the better the product. Allow the lender to access your credit report for you. If a mortgage lender pulls your credit report, it will not affect your credit score. If you go online or try to do this yourself, it may worsen your credit score. Every time your records are accessed, it records it as an "inquiry". If the lender does this for you it will not affect your score. Make sure you receive just one report, to keep your score at the highest level. Property taxes on a $100,000 house in this area would be $365/year. Ideally, your monthly payment should not exceed 1/4 of your monthly gross income. This formula is very conservative; however, I have used it for my clients for years and it has been very effective and accurate. We have a list of recommended lenders at your disposal, by simply calling our office and asking for our home buyer's guide. Buying a home can be the American dream or your worst nightmare. By asking the right people, you can get the answers you need. 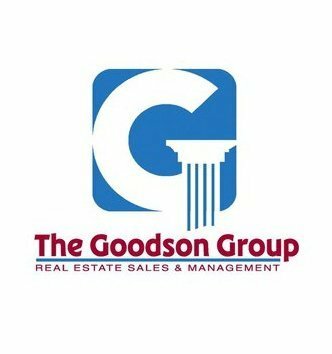 Bo Goodson, ABR, CRS, is a Broker with The Goodson Group, 1975berry Chase Place in the East Chase area of Montgomery. He also owns the Bo Goodson Real Estate School. He may be reached at 551-0225, 221-2883 or email at bogoodson@charter.net. For a list of vendors, service people, appraisers, mortgage companies, and real estate attorneys, please call my office at (334) 551-0225. We still offer our free home buyers and sellers handbooks.